We are pleased to announce that Gerald Dollar has accepted the position of Pultrusion Superintendent. This is a new position at Strongwell that reports to the Director of Virginia Manufacturing Operations. Gerald has worked for Strongwell since March of 1981. He started his career as a 3rd shift trainee and progressively worked his way through the ranks. 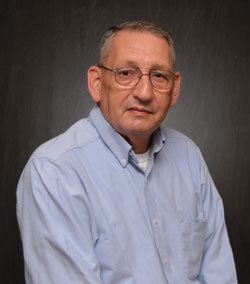 Through the years, Gerald has demonstrated his knowledge of all aspects of the pultrusion operation. Gerald and his wife Debbie live in Bluff City, Tennessee. They have three children, Jason, Joy, and April, and they have three grandchildren, Emma (9), Kelsey (8), and Gunner (2). In his spare time, Gerald enjoys carpentry, camping, fishing, and golf. Please offer Gerald your full support and join us in congratulating him on his new role at Strongwell.